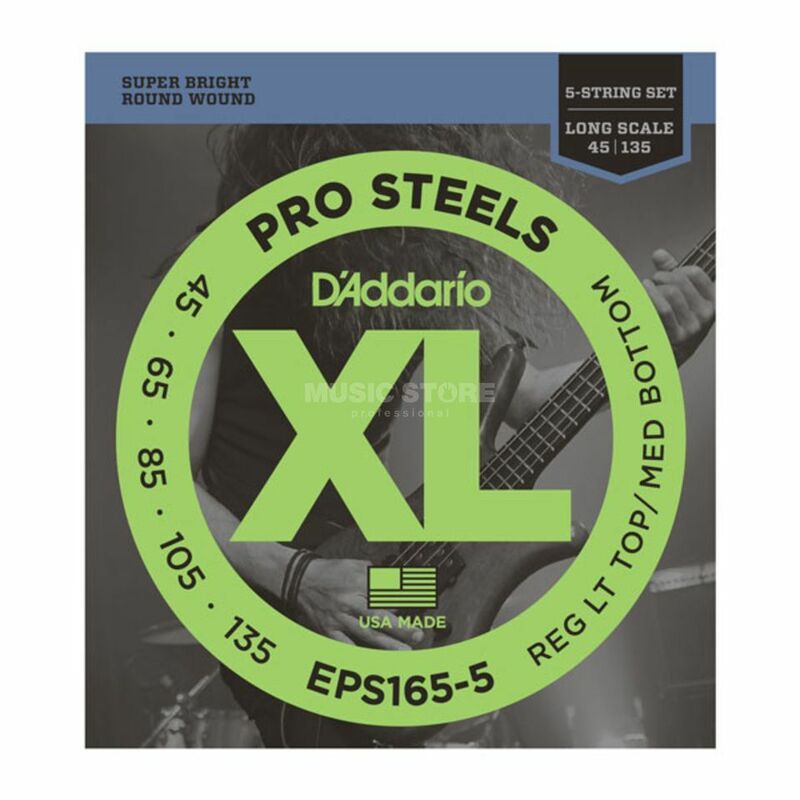 The D'Addario EPS165-5 ProSteels Custom Light Bass 5-Strings 45-135 is a pack of strings for a five-string bass guitar. The EPS165-5 is a hybrid set combining the high strings from an EPS170 (.45 and .65) with the low strings from an EPS160 (.85 and .105) and an additional .135 low B, making it optimal for a combination of biting high end, punchy lows and super long life. I bought this strings to restring my bass before recording. The first thing I mentioned - it became easier to play. They have the same gauge that my previous strings had, but my fingers "like" them more when it comes to long time practice. They already have survived several gigs and it seems like they well-built and reliable strings.